Welcome back to our series on popular CMS systems for web designers. If you have missed any of the previous parts of the series – you can find them under the UX Daily tab on our home page. 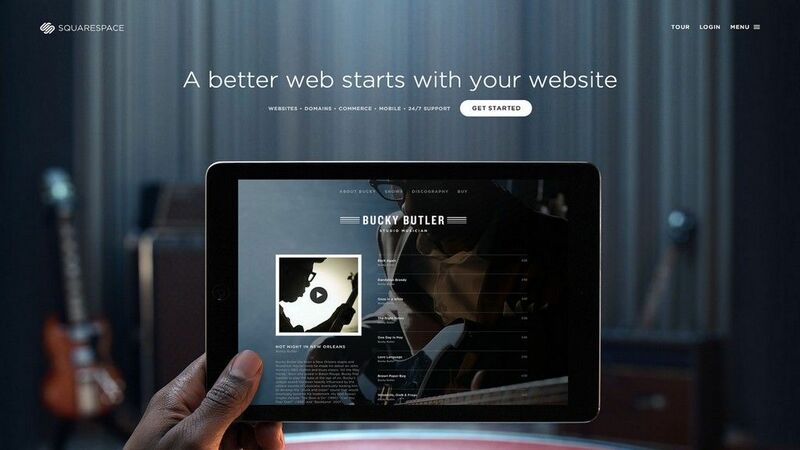 Today we’re going to be taking a look at one of the up and coming CMS providers Squarespace. Squarespace, unlike many of the CMS systems we’ve looked at is a paid for product which means that for some designers that will immediately put it off limits. Thus it has more in common with LightCMS than the other products we’ve examined. It is a more comprehensive offering than LightCMS though and you’ll find much more in the way of pre-built functionality than you will with LightCMS. There’s also a full developer platform offering developers total control over customizing the final product it’s based on JSON and not PHP too. It’s worth noting that this will require a little learning of Squarespace’s setup for your developers and that means factoring in that learning curve in your costing for your first Squarespace projects. Only the Business top end service gets the developer tools. The actual cost of Squarespace depends on the project you want to run; $8 a month gets you a neat personal blog and website and $24 a month gets you a fully e-commerce ready website of unlimited size with integration with ShipStation and Xero. We’ve noticed a distinct trend for those with no programming skills but in need of lushly designed sites to choose Squarespace. It is a one-click deployment project though as always there’s a fair amount of customization required before you release your project into the wild. Squarespace is great for designers short on time but in need of a professional website. Unlike LightCMS you can export your data to another CMS quickly and easily should you need to do so. You can also import data from a host of platforms too which makes changing over to Squarespace much less traumatic than changing to LightCMS. The layout engine is pretty intuitive to use and there’s some decent support from Squarespace on using the product. The primary disadvantage of Squarespace is that modifications to CSS are accompanied by a warning that you may break the package. That’s a big red flag for designers and you’ll need to tread carefully or you may find out that it’s much more effort than it’s worth. Then there’s the 1 year commitment to get the prices quote above – choose monthly and you’ll lose the 20% discount applied to the package costs. There is, however, a free 14-day trial for you to try before you buy. And only those paying for a year up front get a free domain name which shouldn’t be a big deal but seems kind of cheeky when you look at the cost of domains now.